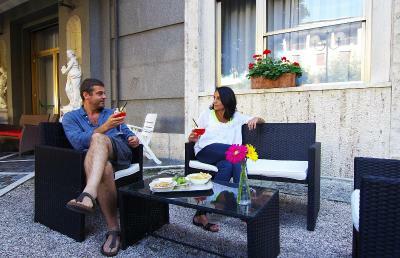 Lock in a great price for Grand Hotel Milano – rated 8.4 by recent guests! The staff was very friendly and helpful. And the breakfast was good. The hotel had a vintage feel to it. Location , possibility for parking our car on the premises without extra cost. 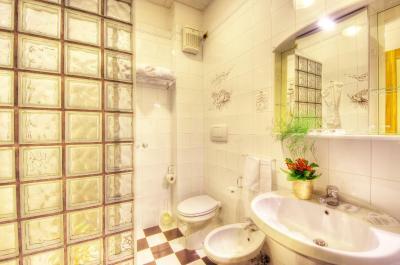 Location very close to the central station and close to metro. I liked the guy from the reception, he was very kind. Staff Was extremely helpful, not only with the booking but with a lot of suggestion on planning my family's trip around the area. Rooms were big and clean. - Really big size room and bathroom, - clean enough, - peacefully location, - friendly and helpful staff, - good coffee for breakfast, - not expensive. The stuff was very helpful and kind. 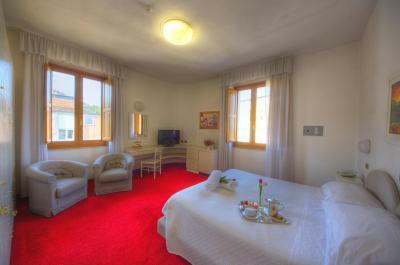 The room was clean and silent, with smal TV and fridge. Good breakfast (sweet and salty you can choose, also good coffee). The hotel is on the main street, and it is easy to find. From the hotel there is a nice walk to the historic center where you can have a drink. There is also a nice view. Jan Paulo and his staff were brilliant hosts, the hotel is an excellent location near bars, shops etc, rooms were really comfy and spacious! The only thing, that was positive during stay in this hotel, was the fact that we have stayed there only one night. Never again! Grand Hotel Milano This rating is a reflection of how the property compares to the industry standard when it comes to price, facilities and services available. It's based on a self-evaluation by the property. Use this rating to help choose your stay! 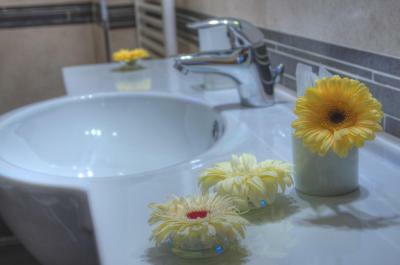 One of our best sellers in Chianciano Terme! 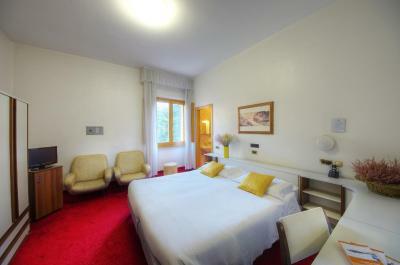 Grand Hotel Milano is on the main avenue of Chianciano Terme, 350 feet from Il Salone Sensoriale wellness area. There is free Wi-Fi and a free internet point. Set in a building from the early 20th century, the Grand Hotel offers individually air-conditioned rooms with private bathroom and TV. 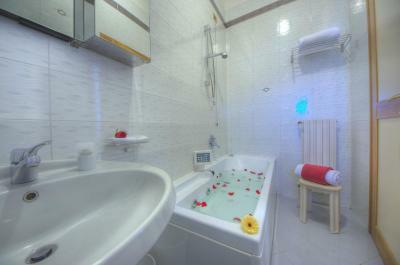 Rooms can have either a hydromassage shower or bath. 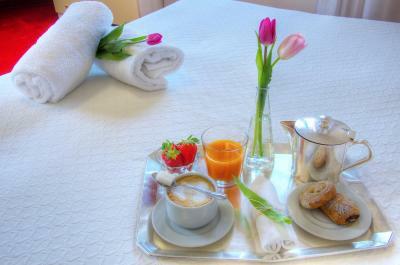 At Milano Grand Hotel an abundant and varied buffet breakfast is served throughout the morning. The restaurant offers national and international dishes. The Milano is near the Salone Sensoriale wellness center. The beautiful Val d'Orcia, Montepulciano and Pienza are a short drive away. When would you like to stay at Grand Hotel Milano? Please let the hotel know your bed-type preference if you prefer one double bed + 1 twin bed or 3 twin beds. 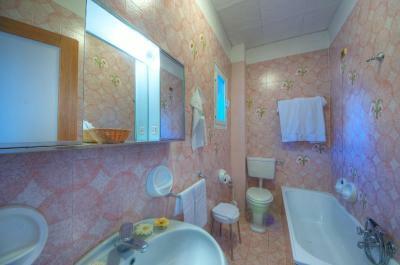 This air-conditioned room features a satellite TV and free Wi-Fi. This double room has air conditioning, hot tub and mini-bar. House Rules Grand Hotel Milano takes special requests – add in the next step! Up to two children under 6 years are charged EUR 20 per night when using existing beds. Other Grand Hotel Milano accepts these cards and reserves the right to temporarily hold an amount prior to arrival. Grand Hotel Milano accepts these cards and reserves the right to temporarily hold an amount prior to arrival. The attitude of the Lady of the front desk , not very welcoming at all . It looks like she was the owner of the Hotel or maybe her husband was the one, but she was not very kind . She should try at least to share a smile with her guests ! Breakfast was plenty and the eprson very helpful. Rooms furniture needed a bit of refurbishment. - Breakfast was poor, nothing worm (eggs, bacon, sausage ...), good only for sweets lovers, - furniture and carpet old, worn out, with old stain, - walls need fresh painting, - picture on Booking are better than the reality are, - absolutly not 4* standard. Breakfast selection although OK but can be improved.